Weekly question! 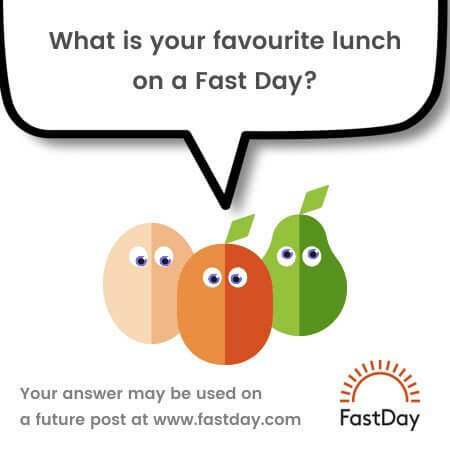 What's your favourite fast day lunch? What's your favourite fast day lunch? Re: Weekly question! What's your favourite fast day lunch? I don't do lunch on a fast day. I usually have a late afternoon bovril and go all the way through to my evening meal. If I need to have lunch on a fast day, my go-to is 1/2 cup of whole milk, unsweetened Dannon yogurt (75 calories) with a handful of berries (cherries are 37 calories, strawberries ). I have also done 4 ounces of deli turkey (plainville farms, 100 calories for 4 oz), sliced thickly, which I roll up with lettuce or mixed green salad and a wee drizzle of light vinaigrette (less than a teaspoon). I might even use a tablespoon of hummous (30ish calories - check container). But most of the time, I try to tough it out until dinner. I feel I get the best results that way. Plus dinner is more satisfying when you have all of your points. Though usually, I aim for 350-400 points at dinner, and a high protein snack before bed, like a boiled egg, cheese or nuts. This worked very well for me. It was only once joining this forum that I started waiting til dinner time for one meal a day. That also worked okay. Nothing for me either. After the first couple of weeks ( and that was back in 2012) I've always saved my calories till dinner time apart from one cup of tea with skimmed milk first thing. For the last couple of years I have tried to stick to 400 cals on fast days as my TDEE is in the 1600s. Off topic I know but... Wow, @Lil, I have just looked at your tracker! What a consistent picture - you must be very pleased. Do you still do 2 fast days a week - have you throughout that time? If so, how do you stay motivated - or hasn't that been an issue for you? Any other changes you have made to your diet? Apologies for all the questions, but it is very interesting to find out more details when someone has such a consistent trajectory (well, it is interesting to understand all the different patterns, actually). Very best wishes as you continue, and well done! Why don't you try this again @Sassy1 - maybe once a week and, if you like it (or don't hate it too much), you could maybe try twice ? Sounds like a winner to me !!!!!!!! @Riel, what do you put in a lentil salad? I've never heard of this before! 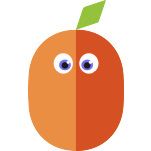 Hi @lovemyparrot (!!!!!) It is certainly a thought. Hi @Moogie it,s green lentils, bulgar wheat, cucumber, yellow pepper and red onion. Add salt pepper and mint to taste then dress with lemon juice and olive oil. I use 1/3 cup lentils and wheat and tablespoon of oil and juice. It will keep in the fridge for around a week.